DECORATIVE DESIGN: Decorated with lovely fruit patterns.Heavy-weight FRCs (.9-1.2 oz./sq. yard): Are usually used to extend the growing season in spring and fall, allow 30%-50% light transmittance, and frost protection. 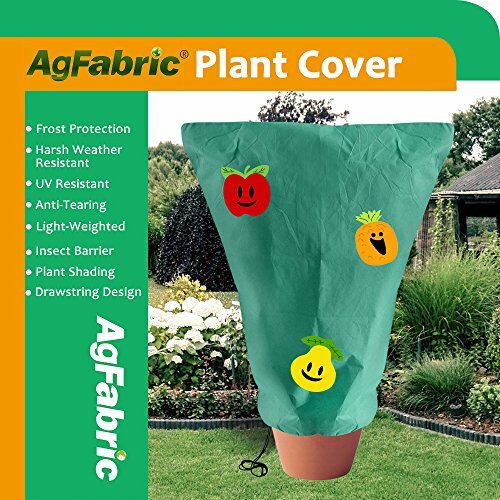 APPLICATION Protect plants from snow hail,frost in the winter and insects,birds during the growing season,No need to remove each morning and replace each evening. Decorate your shrubs, trees, and furnitures with our pretty covers to beautify your house, patio and garden.